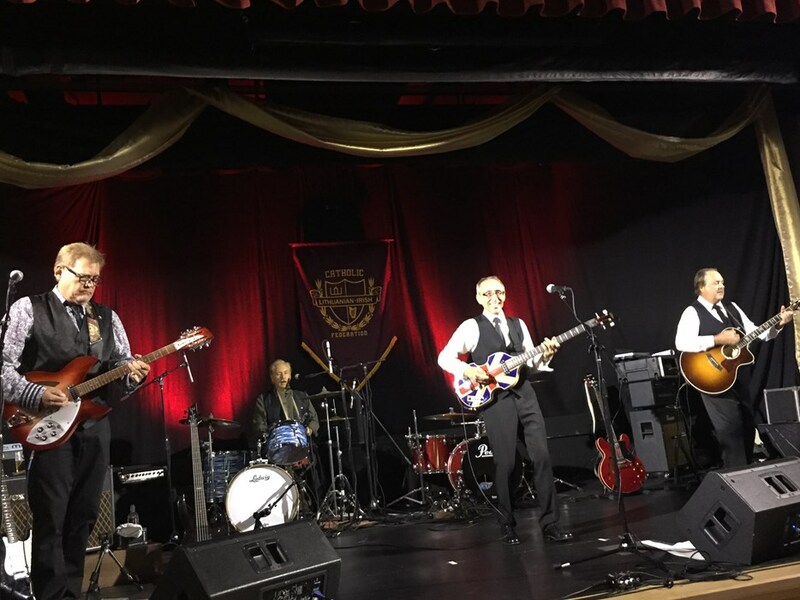 From The Beatles to The Rolling Stones, from The Who to The Kinks, from The Animals to The Zombies, My Generation performs some of the best music ever written with its Tribute to the British Invasion. With such musical royalty providing the spark, be prepared for a journey through time that will awaken memories of songs you've forgotten you knew and loved. My Generation are not impersonators and not locked into performing the hits of a single band- preferring instead to pay tribute to the entire British Invasion genre. The Dave Clark Five, The Moody Blues, The Hollies, Herman's Hermits, The Yardbirds--it's all here! 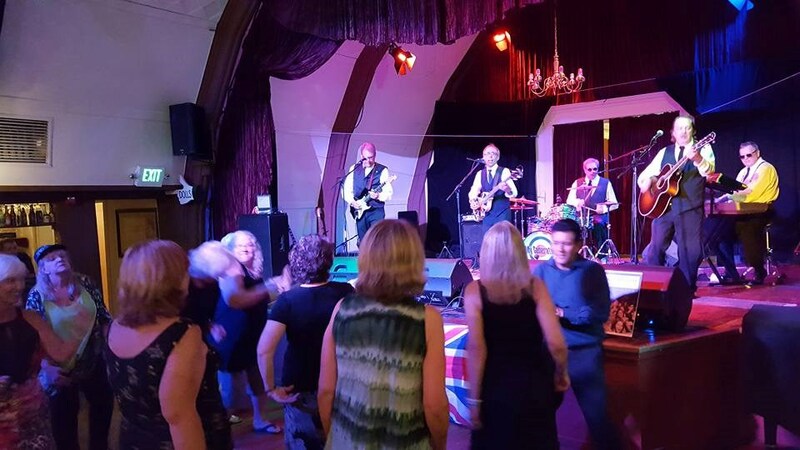 Known for sweet three and four part vocal harmonies and an obvious love for the music of The British Invasion, My Generation is a great choice for All Generations--and a hit wherever they play! From street fairs to festivals, from summer Concerts in the Park to corporate events, whatever the occasion, My Generation will have the audience cheering and singing and dancing in the aisles! So if you want a brilliant re-creation of the music that made the sixties the best decade in the history of Rock and Roll, then the choice is simple. 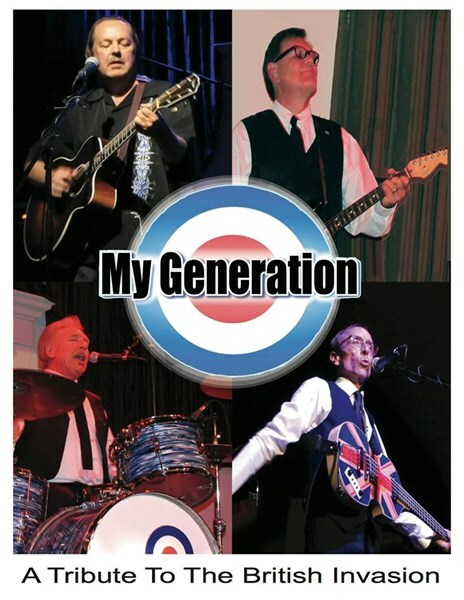 You want My Generation--a Tribute to the British Invasion! Please note My Generation--a Tribute to the British Invasion will also travel to Chino, Diamond Bar, Pomona, Brea, Montclair, Ontario, Walnut, Yorba Linda, Anaheim, Claremont, Corona, San Dimas, Atwood, Covina, La Verne, Placentia, Rowland Heights, Upland, West Covina, City Of Industry, Guasti, Fullerton, Glendora, La Puente, Norco, Rancho Cucamonga, Alta Loma, La Habra, Mira Loma, Orange.